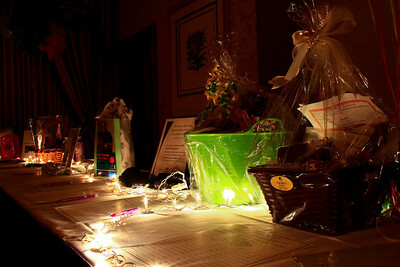 Brett Moist - For Shaw Media Different businesses put up items for the silent auction during the annual awards dinner at the Boulder Ridge Country Club in Lake in the Hills on Friday, February 17th. This award ceremony marked 60 years in the community. 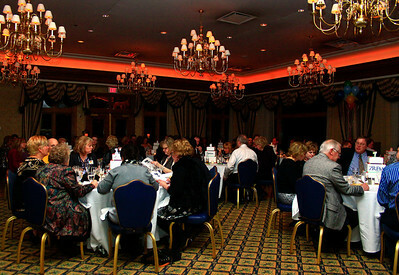 Brett Moist - For Shaw Media Algonquin/Lake in the Hills Chamber members enjoy a nice dinner during the annual awards dinner at the Boulder Ridge Country Club in Lake in the Hills on Friday, February 17th. This award ceremony marked 60 years in the community. 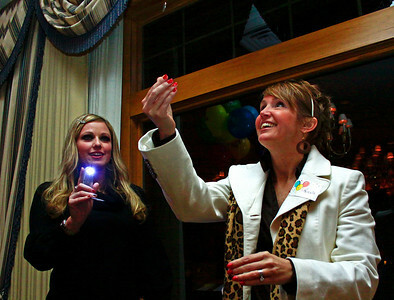 Brett Moist - For Shaw Media Deanna Kell (left) watches Nicole Prihoda flip the coin for the heads/tails game during the annual awards dinner at the Boulder Ridge Country Club in Lake in the Hills on Friday, February 17th. This award ceremony marked 60 years in the community. 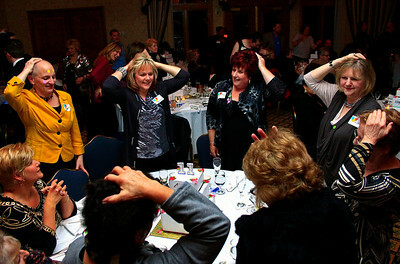 Brett Moist - For Shaw Media Kathleen Wiedenfeld sticks her hand on her head, indicating she has chosen heads for the heads/tails game during the annual awards dinner at the Boulder Ridge Country Club in Lake in the Hills on Friday, February 17th. This award ceremony marked 60 years in the community. Brett Moist - For Shaw Media Jared Brockman won the 2011 Volunteer of the year award during the annual awards dinner at the Boulder Ridge Country Club in Lake in the Hills on Friday, February 17th. This award ceremony marked 60 years in the community. 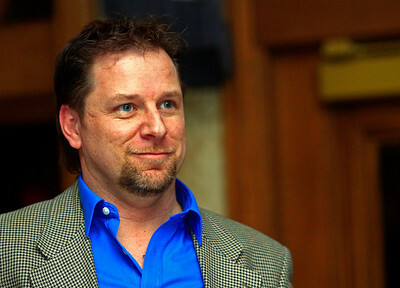 Brett Moist - For Shaw Media Kelly Hartt applauds award nominees during the annual awards dinner at the Boulder Ridge Country Club in Lake in the Hills on Friday, February 17th. This award ceremony marked 60 years in the community. 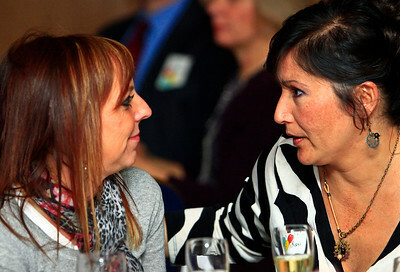 Brett Moist - For Shaw Media Vanessa Baker (left) and Toni Sabado enjoy themselves during the annual awards dinner at the Boulder Ridge Country Club in Lake in the Hills on Friday, February 17th. This award ceremony marked 60 years in the community. 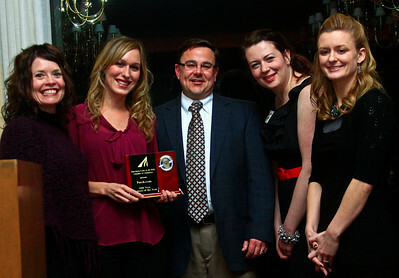 Brett Moist - For Shaw Media (from left to right) Teresa Sakes and Russ Farnum pose with Savannah Zirgelbauer, Vanessa Baker, and Anie Schaenzer of patch.com who won the 2011 New Business of the Year Award during the annual awards dinner at the Boulder Ridge Country Club in Lake in the Hills on Friday, February 17th. This award ceremony marked 60 years in the community. 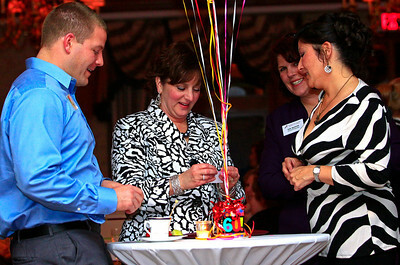 Brett Moist - For Shaw Media (from left to right) Scott Vanderweit, Mary Caporale, Sue Bazdor, and Lou Ho enjoy eachother's company during the annual awards dinner at the Boulder Ridge Country Club in Lake in the Hills on Friday, February 17th. This award ceremony marked 60 years in the community. 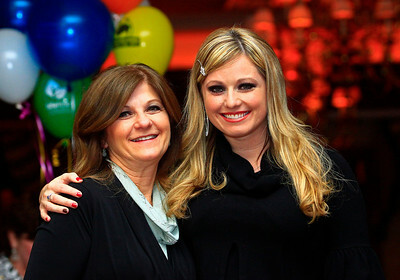 Brett Moist - For Shaw Media (from left to right) Tina Bartolo and her daughter, Deanna Kell pose for a photo during the annual awards dinner at the Boulder Ridge Country Club in Lake in the Hills on Friday, February 17th. This award ceremony marked 60 years in the community. 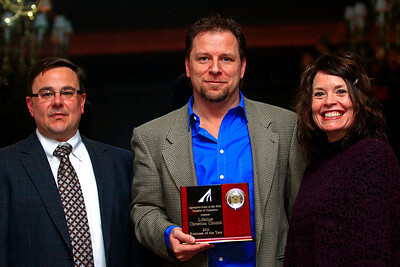 Brett Moist - For Shaw Media (from left to right) Russ Farnum and Theresa Sakas pose with Dave Rudin of LifeLine Church after they won the 2011 Business of the Year Award during the annual awards dinner at the Boulder Ridge Country Club in Lake in the Hills on Friday, February 17th. This award ceremony marked 60 years in the community. 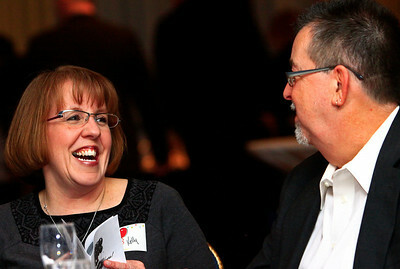 Brett Moist - For Shaw Media Kelly Atchabowski and her husband, Jim Atchabowski of Famous Daves enjoy themselves during the annual awards dinner at the Boulder Ridge Country Club in Lake in the Hills on Friday, February 17th. This award ceremony marked 60 years in the community. Brett Moist - For Shaw Media Dave Rudin was one of the nominees for the 2011 Volunteer of the Year award during the annual awards dinner at the Boulder Ridge Country Club in Lake in the Hills on Friday, February 17th. This award ceremony marked 60 years in the community. Brett Moist - For Shaw Media Representatives from Your Best Friend's Closet play the heads/tails game during the annual awards dinner at the Boulder Ridge Country Club in Lake in the Hills on Friday, February 17th. This award ceremony marked 60 years in the community. 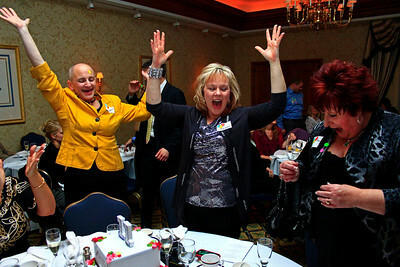 Brett Moist - For Shaw Media (from left to right) Kathleen Wiedenfeld, Marianne Evans, and Amy Pflier enjoy a game of heads/tails during the annual awards dinner at the Boulder Ridge Country Club in Lake in the Hills on Friday, February 17th. This award ceremony marked 60 years in the community. 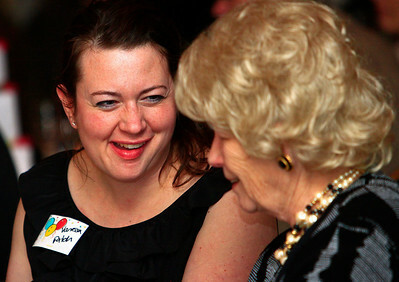 Brett Moist - For Shaw Media Kelly Hartt (left) and Lou Ho enjoy themselves during the annual awards dinner at the Boulder Ridge Country Club in Lake in the Hills on Friday, February 17th. This award ceremony marked 60 years in the community. 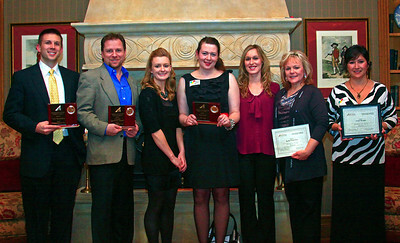 Brett Moist - For Shaw Media Winner's and nominees for various awards pose during the annual awards dinner at the Boulder Ridge Country Club in Lake in the Hills on Friday, February 17th. (from left to right) Jarid Brockman, Dave Rudin, Anie Schaenzer, Vanessa Baker, Savannah Ziegelbauer, Marianne Evans, and Lou Ho. 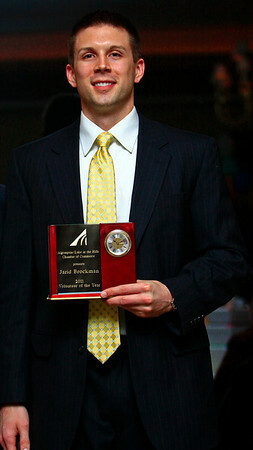 Jared Brockman won the 2011 Volunteer of the year award during the annual awards dinner at the Boulder Ridge Country Club in Lake in the Hills on Friday, February 17th. This award ceremony marked 60 years in the community.